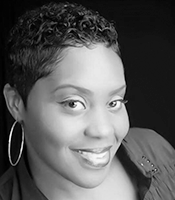 SHANTHA HYMAN CALDWELL is a native of Winston-Salem, NC. She is a graduate of North Forsyth High School and Winston-Salem State University where she received a Bachelor of Arts degree in Mass Communications. Shantha has always had a passion for children. This growing desire to help guide students to greatness led her to become involved in education by becoming a Teacher Assistant/Substitute Teacher for K-12 children and special needs children on all grade levels within the Winston-Salem Forsyth County School System. In 2013, Shantha expanded her horizons by becoming a licensed NC State Board Educator in the field of cosmetology; enabling her to also assist and teach high school students who attend the Career Center for Winston-Salem Forsyth County Schools in pursuit of a NC State Board of Cosmetic Art Apprenticeship Cosmetology License. By helping children reach higher heights, Shantha serves as a positive role model, is a blessing to others, and gives back to the community. Shantha is married to James Caldwell, II and she is the mother of two handsome young men, James, III (11) and Josh (8). 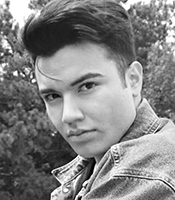 EMILIO RAMIREZ has always had a passion for dance. Before ballroom he performed in musical theatre. With his upbeat and charismatic personality, he was in numerous productions where he developed great love and dedication for the performing arts. Being native to a Latin American culture, he deeply values his Mexican roots and rich history in music and dance. Emilio has received training and coaching from top dance professionals in the US and specializes in American Rhythm, including cha-cha, rumba, mambo, east coast- swing and bolero. He also has a great love for teaching. “Being a dancer is great, but for me it’s not enough. I cannot simply just show my gift. I have a bigger obligation to share my gift and for myself, being able to inspire people through the passion that I have for dance is a lot more fulfilling than anything else,” he says. Today he trains competitive students and is thoroughly involved in the Winston-Salem dance community. He aspires to start a school of dance in the future and continue to share his craft with the next generation of dancers.